The summer of 1997 was one of the most memorable in terms of ‘90s music. From one hit wonders such as “Tubthumping” from Chumbawamba and “Barbie Girl” by Aqua to singles such as “Semi-Charmed Life” by Third Eye Blind and “Candle in the Wind” by Elton John, no song is as memorable as “MMMbop” from Hanson. The group is perpetually the teenage three piece in the minds of most, especially when recalling music of the ‘90s. However, Hanson live is another beast to behold. While the brothers are all in their 30s now, the music has remained much the same. 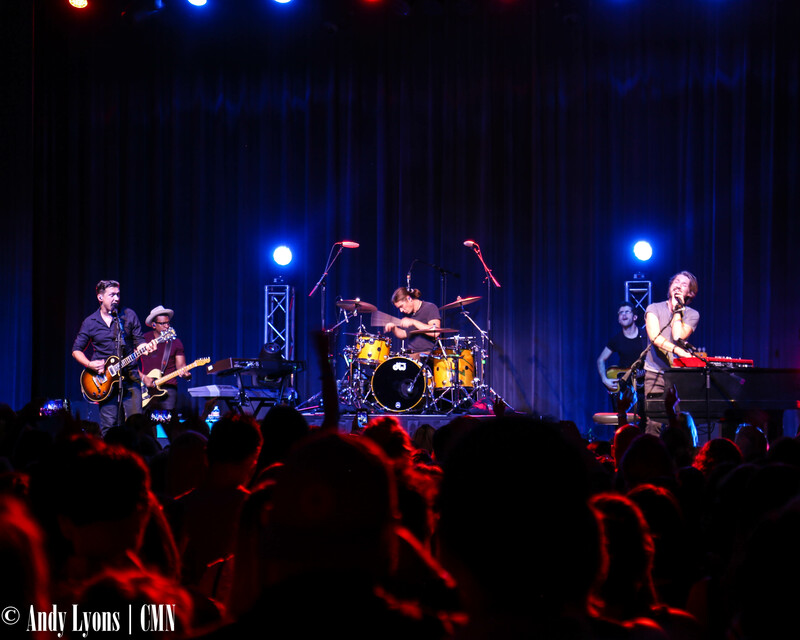 Although sang by men with much deeper voices than they had 20 years ago, the music remains planted in the era it was created in – offering itself as a heartwarming bit of throwback that had the entire VooDoo Lounge singing along Sunday night. Hanson played without an opener, a set dubbed “An Intimate Night with Hanson.” And the band delivered, playing a variety of songs from across their careers including essentials from the ‘90s and some acoustic versions of songs that had youngest brother Zac on a cajon instead of his drum set. The 22 song set featured other surprises, from the brothers swapping instruments to Taylor leaning into the crowd. One of the biggest surprises of the night was the loudness of the crowd. Throughout the night fans challenged Hanson to who was louder, the band through the PA or the crowd singing lyrics they’ve had memorized for 20 years. Hanson puts on a great live performance, something anyone who is a fan of ‘90s music can enjoy. It’s not only the group’s show that makes it memorable, but the crowd who really gives the Hanson show a flavor unique to seeing them live.